Hi crafty friends! I hope your week is going well! 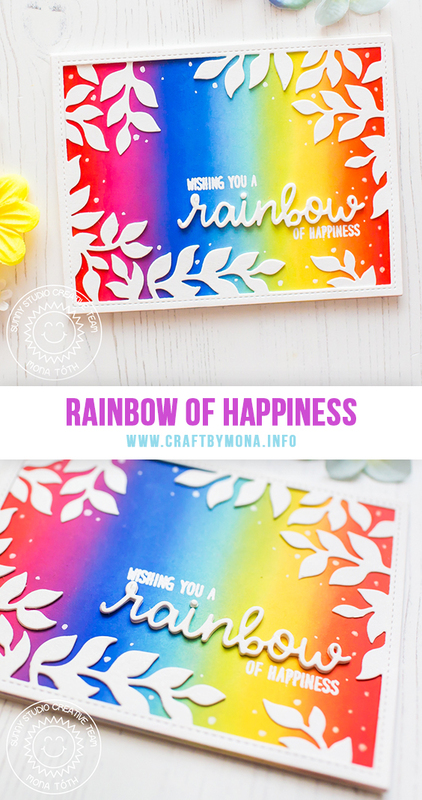 Today I am showing you a quick card with rainbow gradient in the background featuring Sunny Studio Stamps products. You can find the used supplies below. I started the cardmaking with ink blending. I used these Distress Oxide Inks in the following order: Candied Apple, Picked Raspberry, Wilted Violet, Blueprint Sketch, Tumbled Glass, Twisted Citron, Squeezed Lemonade, Wild Honey and Candied Apple again. As you can see I used many colors so for the blending I used mini sponge daubers. When the blending was done I finished the process with Distress Glaze. The next step was heat embossing. I stamped the sentiment to the background from the Over The Rainbow Stamp Set. The last process on my card was the Die-cutting. 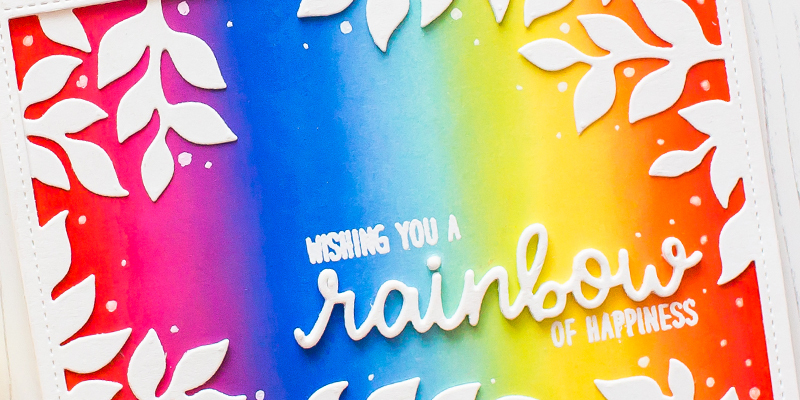 I used the Botanical Backdrop Die and Rainbow word die and run them through my Die-cut Machine multiple times. Adhered the parts together, and finished my card.